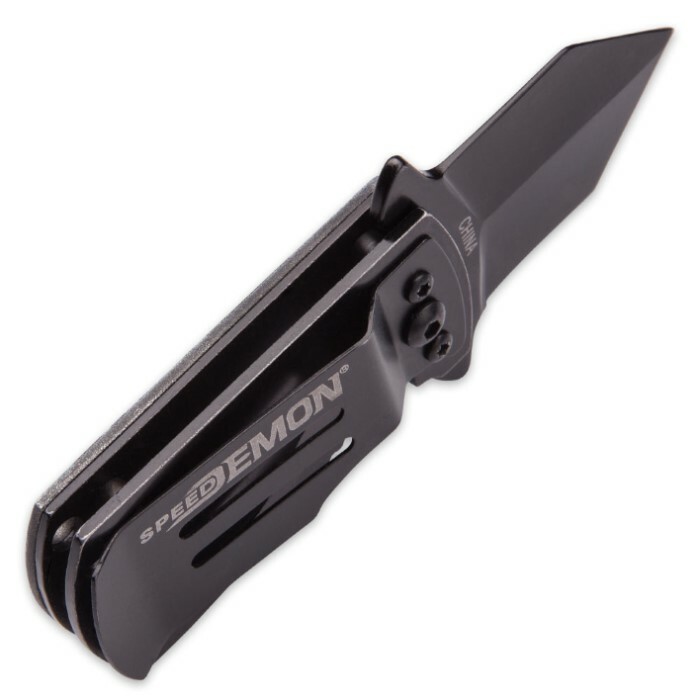 Black Legion Vietnam Money Clip Mini Pocket Knife | BUDK.com - Knives & Swords At The Lowest Prices! 2 or more only $6.00 each! 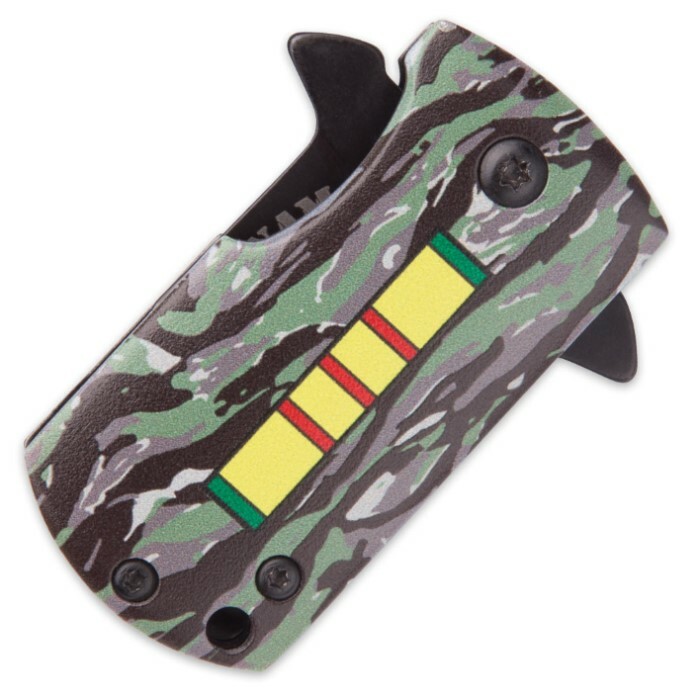 There’s a lot of personality packed into this mini assisted opening pocket knife! It features the Vietnam War service ribbon on its camouflage aluminum handle. 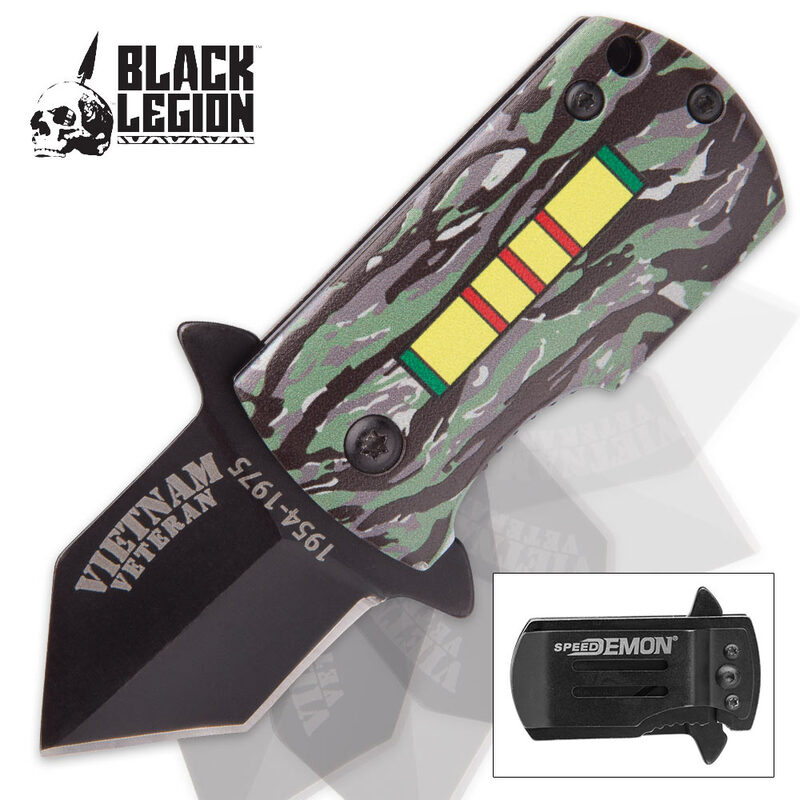 The black stainless steel blade measures just 1 1/2” and has “Vietnam Veteran” and the dates of the war laser etched on it. The handle also features a money clip, which makes this a great little dual purpose pocket knife.